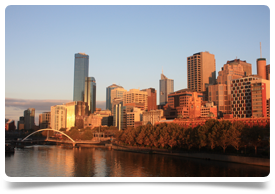 The practice is part of a large corporate network with medical centres throughout Australia. This clinic is just over an hours drive from the city centre in a lovely beach side location. This is a busy bulk billing, state of the art super clinic which is open extended hours 7 days a week and has a range of facilities on site. The centre itself is large with 10 consulting rooms, fully equipped treatment room, procedure room and Pathology service on site. Nurses are available during clinic operating hours. There are psychology and dietitian services located onsite and doctors are well supported by both administrative and nursing staff, with nurses carrying out care management plans. Minimum hourly guarantee for the first 3 months. Lump sum payment up to the value of $80,000 AUD - depending on length of contract commitment. Located just over an hour from Melbourne CBD this is a well known coastal town. There are good schools in the area and it's popular with tourists, young families and retirees. Lots of good recreational facilities, vineyards and a laid back Mediterranean lifestyle.